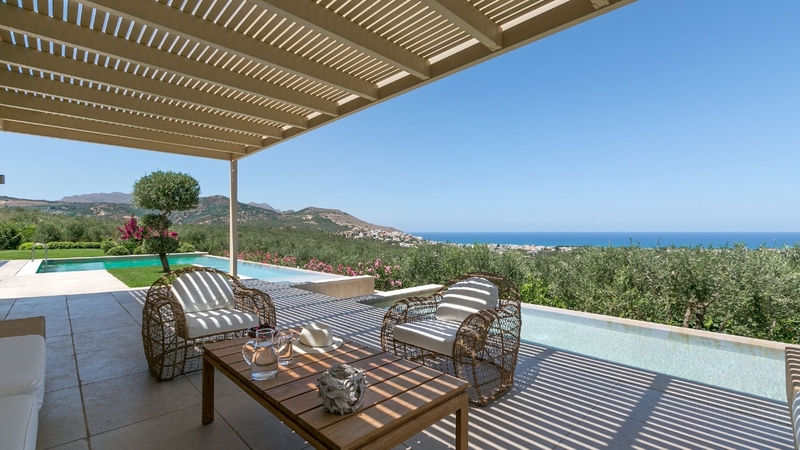 The property sits amongst olive groves, fruit trees, organic vegetable gardens and lush green lawns atop a hill that affords sweeping views of the crystal clear waters of the Sea of Crete on one side and the majestic White Mountains on the other. 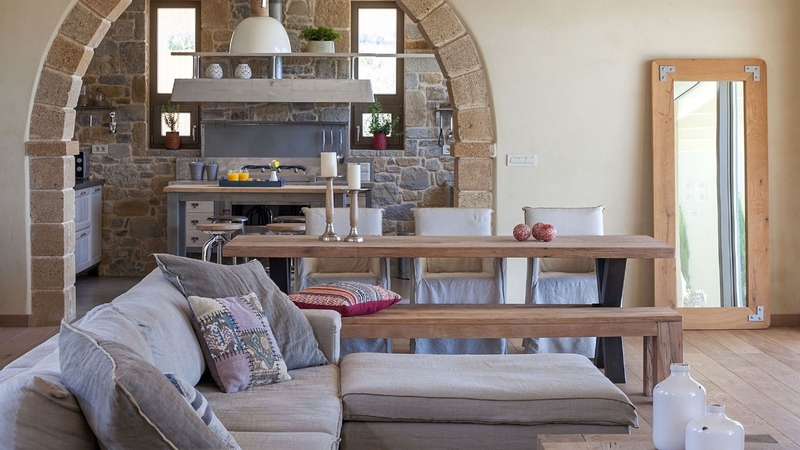 Villa Ianira was built to comply with the standards of bioclimatic architecture in its functioning, while its design, layout and decor were meticulously thought through so that the home would harmoniously blend in with its natural surroundings. 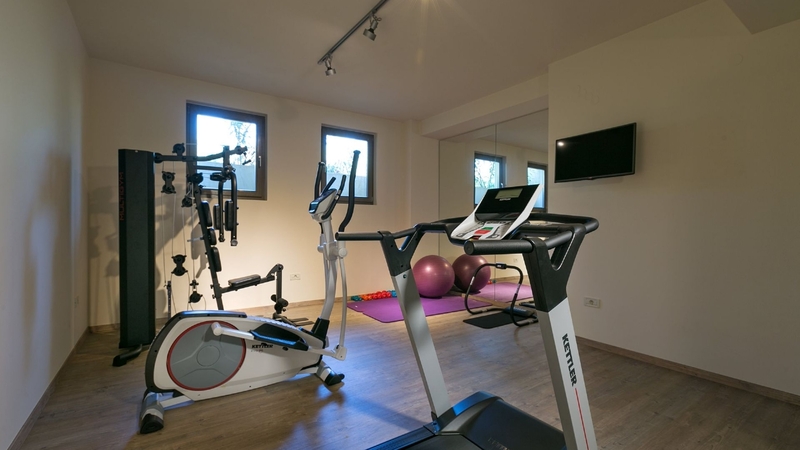 The property offers everything that visitors could possibly anticipate in view of the care and attention to detail given to its construction: absolute comfort and privacy, soothing elegant interiors, stunning outdoor facilities and top-of-the-line amenities and furnishings, all complemented by a number of superior quality services from which to choose. 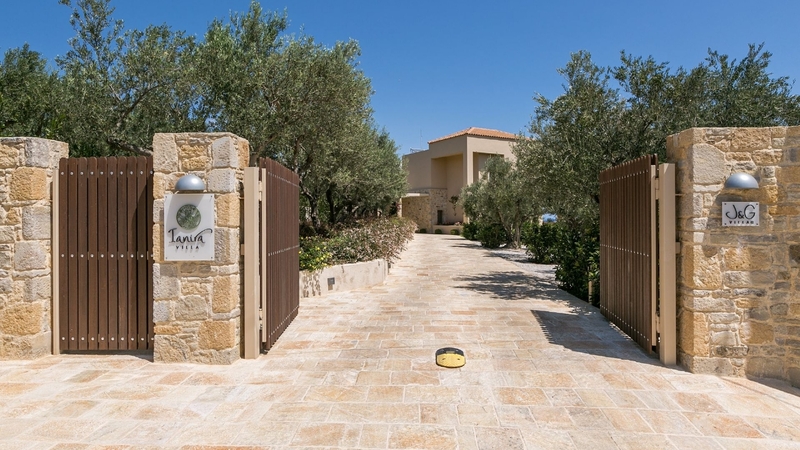 Villa Ianira's interior boasts three bedrooms accommodating up to 6 guests, an impressive entrance area, bright and airy living room, spacious dining room and high-design, high-function kitchen. 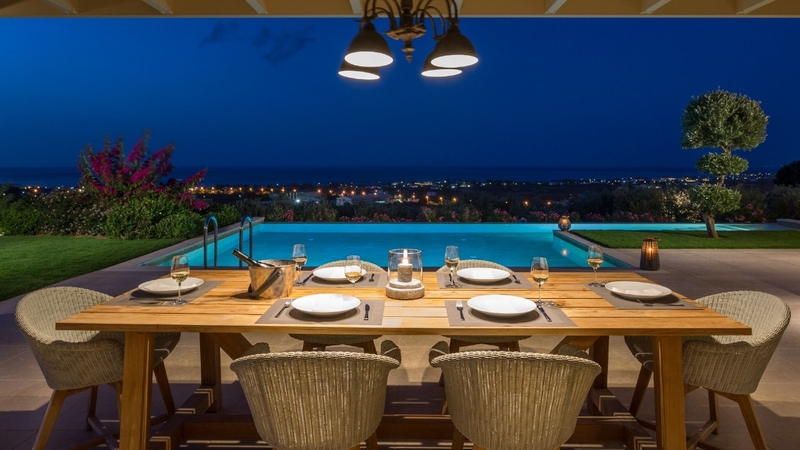 The stylish aesthetics and clever layout are complemented by a wine cellar fully stocked with local Cretan and other Greek wines, a gym, two spectacular infinity pools, a children's playground and an organic vegetable garden that guests are encouraged to use and enjoy, making Villa Ianira a truly unique holiday villa. 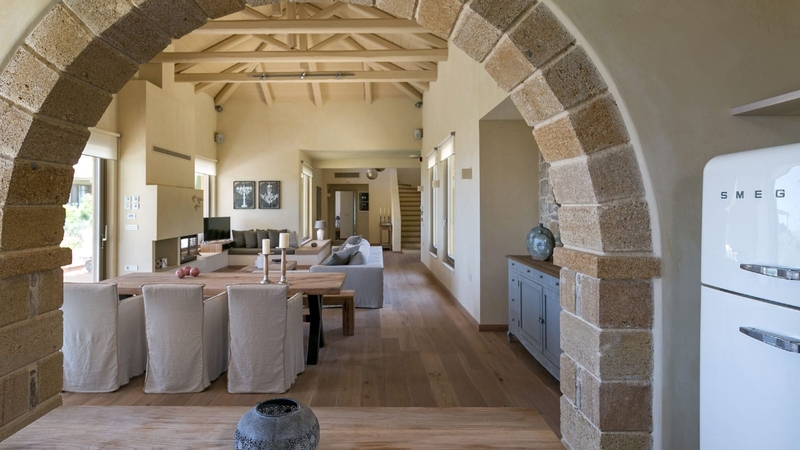 The ground floor of the three-level Villa Ianira boasts a spacious living room complete with energy-efficient fireplace and large, comfortable sofas that gaze out onto the well-tended gardens and sea beyond. 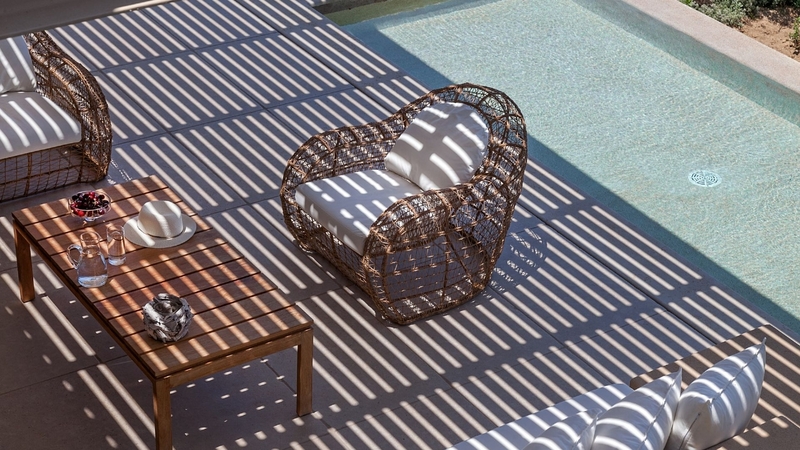 Directly off the living room are 2 outdoor patios fully outfitted with plush, built-in sofas and teak and rattan patio furniture. 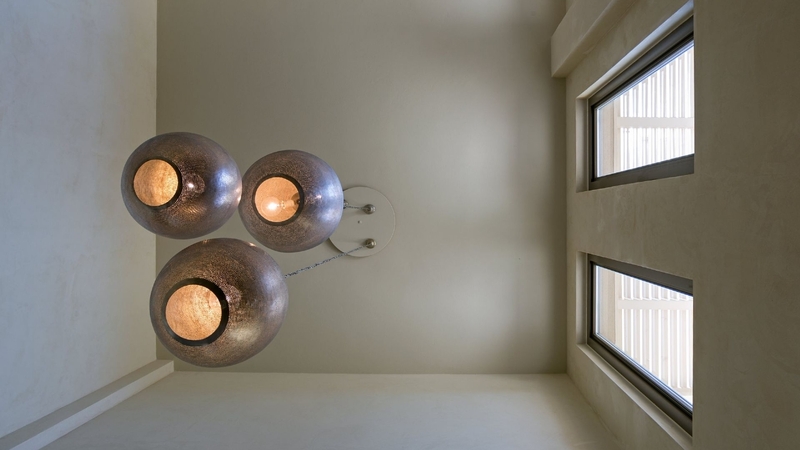 Next to the living room sits the dining room and its stylishly oversized wooden table with comfortable seating for 8. 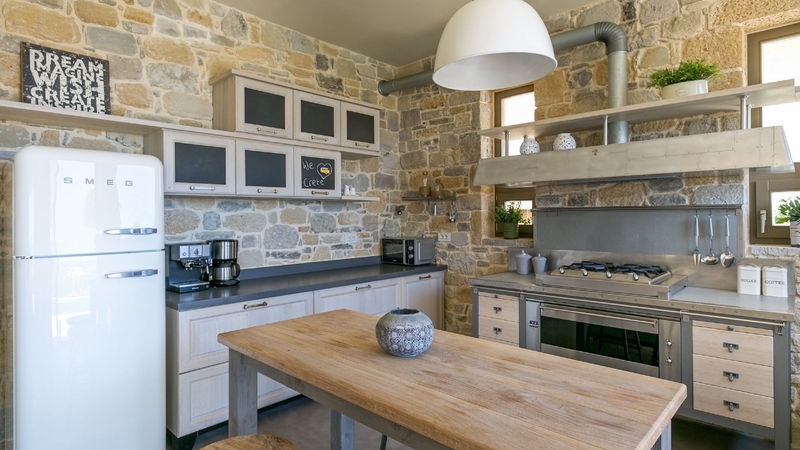 From the dining room and through a gorgeous, hand-crafted stone arch is the ground floor's masterpiece: its spectacular, extremely functional Marchi designer kitchen, a room lovingly created to inspire and motivate guests to use their gastronimical creativity for unforgettable Cretan holiday feasts. 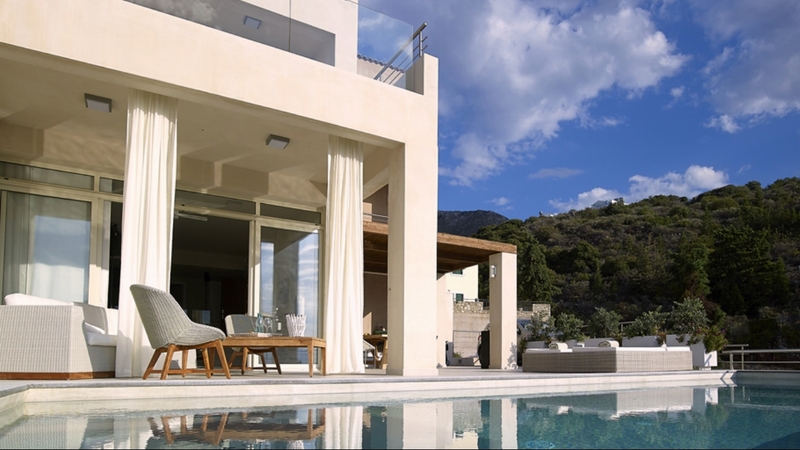 The main floor is also where two of the villa's three bedrooms are located, each with its own en suite bathroom. 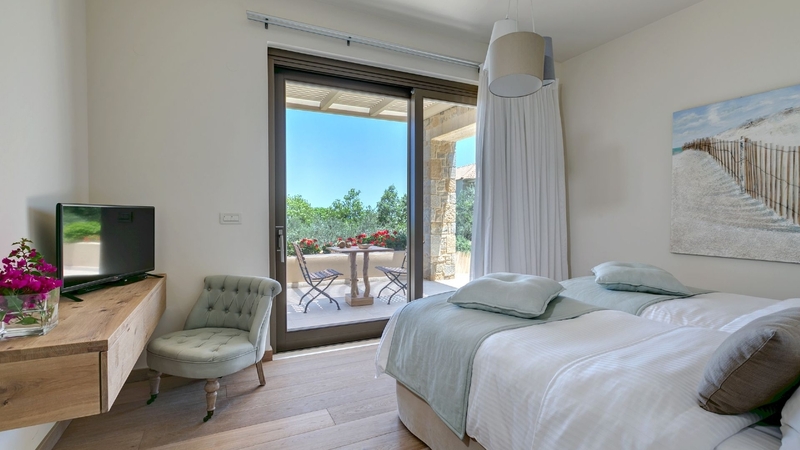 All of the villa's bedrooms boast the COCO-MAT signature series of '4-layer' beds and individually adjustable pillows as well as the finest quality cotton/satin blend bed linens. 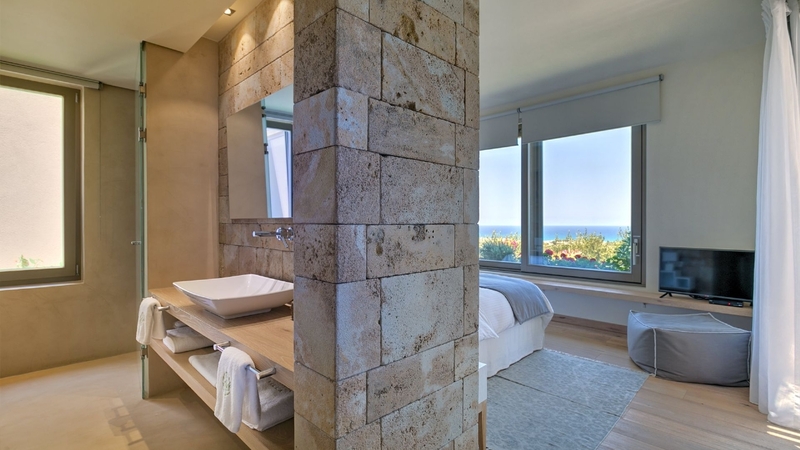 Bathrooms are well-appointed, stocked with fluffy bath towels, robes and exclusive all-natural bath products, among other amenities. 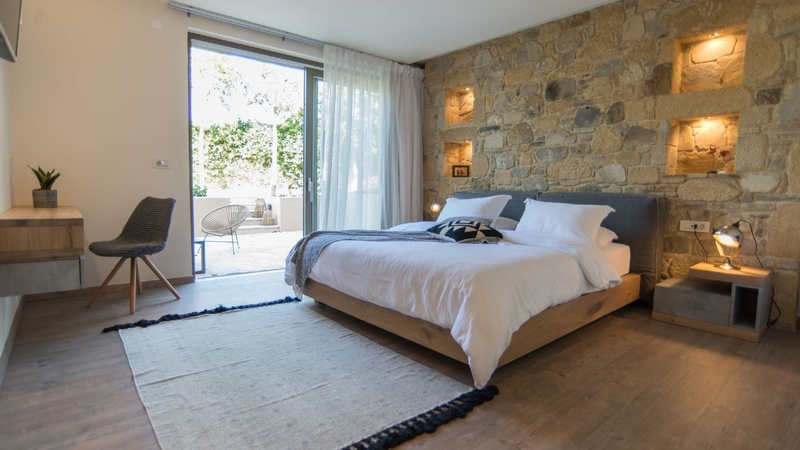 On the first floor, the Villa Ianira's master bedroom with its en suite bathroom, outfitted in the same elegant, high-quality bed and bath products as the home's other two bedrooms. 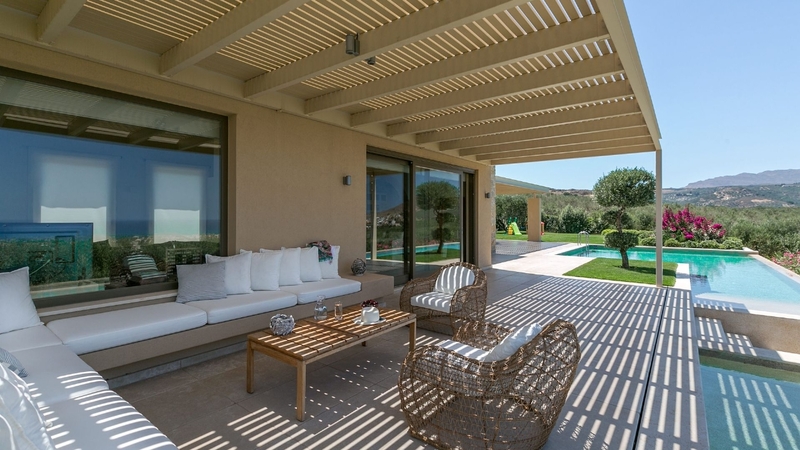 The villa's theme of stylish, natural elegance continues outdoors, with its covered patios, ideal for peaceful relaxation and unwinding, that lead from the house to the gardens and beyond. 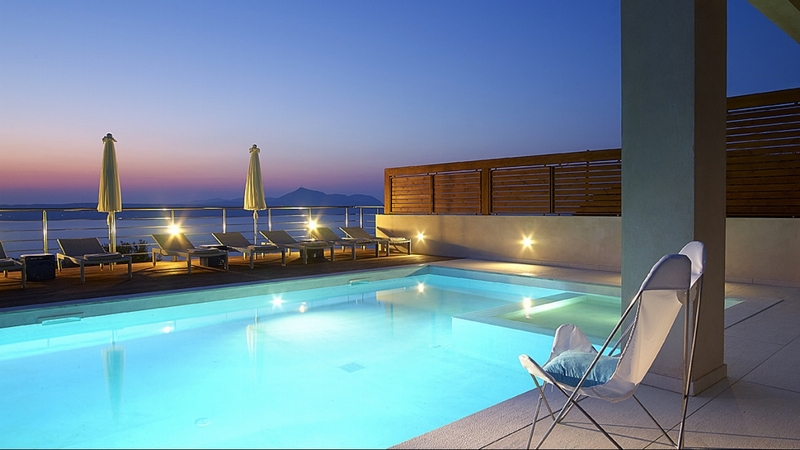 A 60 m² infinity pool for adults and 12 m² children's pool (0.50 cm deep) beckon guests to take a dip, wash off in the outdoor shower and then relax in the covered, poolside lounge area. 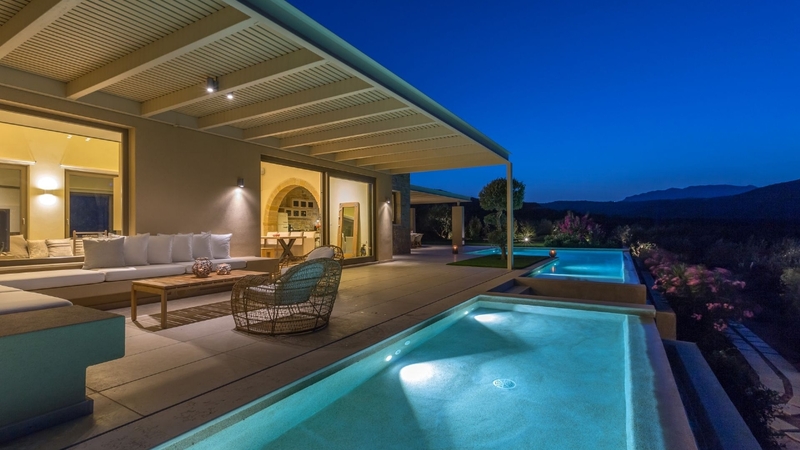 Further on is the property's 'outdoor kitchen', complete with wood-burning oven and a shaded BBQ area, and perfect for casual afternoon or evening gatherings. 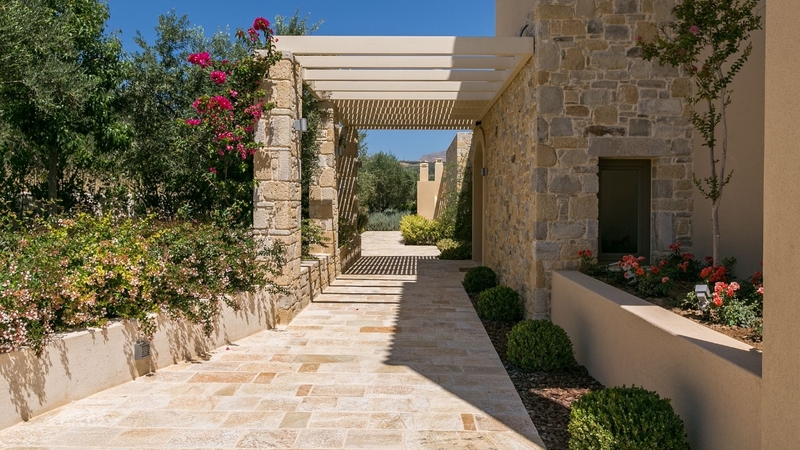 As a result of the villa owners' passion for landscaping, the Villa Ianira is literally immersed in nature: organic vegetable patches, fruit trees, Mediterranean aromatic plants, olive groves and a lush emerald lawn envelop the property and make sitting outdoors a treat for the senses. Maid, chef, baby sitting and other services available on request. 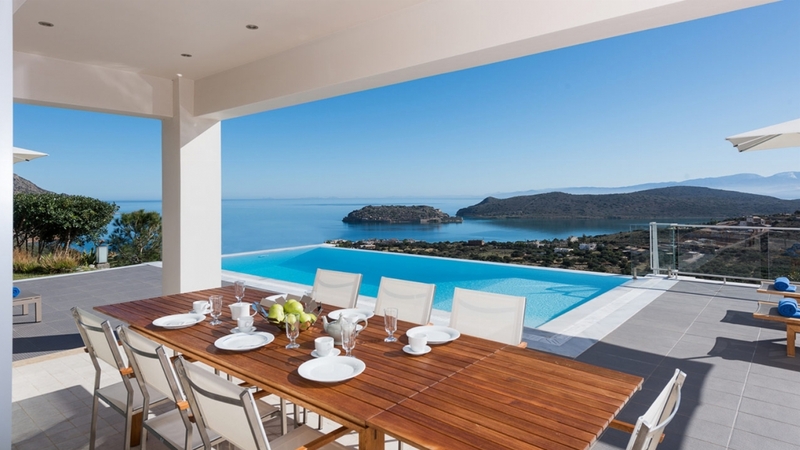 The rates shown are valid for up to 6 guests-3 bedrooms use.